Unless you are a bird hunter or know someone who is pheasant and many other game birds like duck are sadly underrepresented in the kitchen. 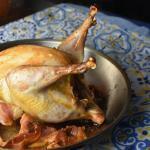 Today’s cooks often tend to choose “safer” (read: not too culinary adventurous) poultry like chicken or turkey. 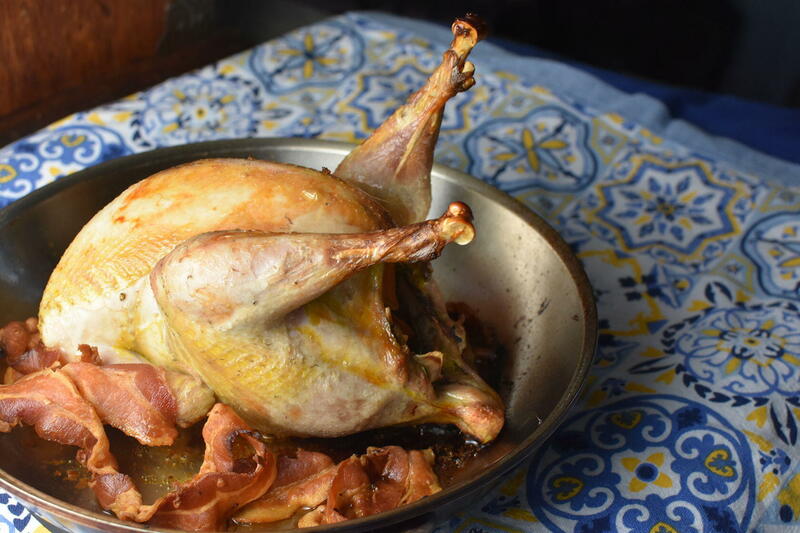 As kids, my dad would hunt, and my mother would roast the pheasant, we had to do the plucking. The good news is now many farmer’s markets, like the one close to us in Tuscon, have wonderful farm-raised birds. 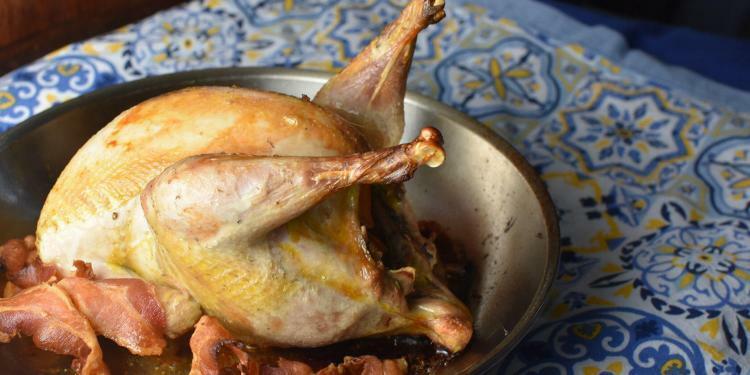 Enjoy this recipe for roast pheasant with a tasty orange and marsala sauce.